Anthony Comello, 24, was arrested in NJ; no plea was entered Monday but his lawyer says he plans to plead "unequivocally not guilty"
The 24-year-old man arrested in connection with the killing of Francesco Cali, a reputed boss of the Gambino crime family who was gunned down in a brazen hit earlier this month, returned to Staten Island Monday to face charges. Anthony Comello had been in New Jersey since his arrest on charges of murder, assault and criminal possession of a weapon. 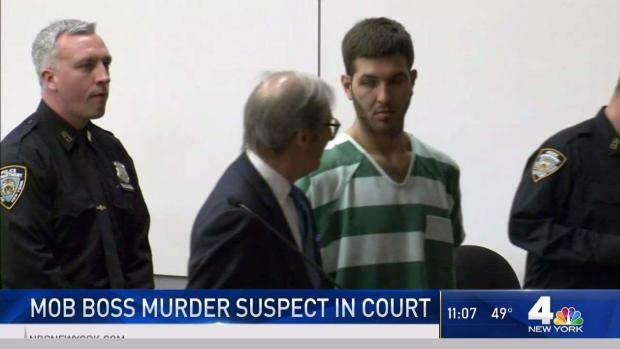 He entered no plea in court Monday, but his lawyer, Robert Gottlieb said he plans to plead "unequivocally not guilty" in the shooting death of the 53-year-old alleged mobster. Comello appeared in court Monday with the pro-Trump slogans, including "MAGA Forever" that had been scrawled on his hand in his first hearing, noticeably absent. 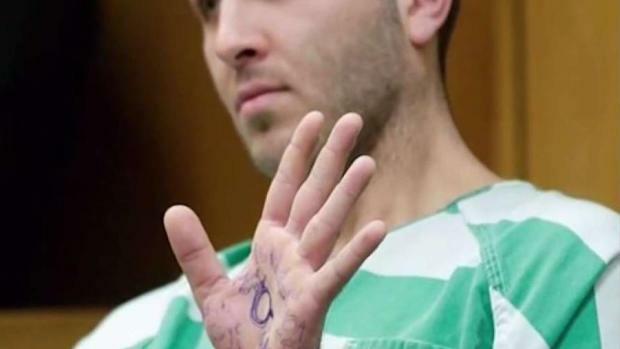 Also on his palm: a symbol for QAnon, a conspiracy theory about the president widely circulated on 4Chan and other far-right message boards. Gottlieb said the earlier writing "is what he wanted to express at that date." After court, he continued to say, "Words do matter" and alluded to "right-wing conspiracy websites on the internet" being a factor in the case. Gottlieb would not confirm if Comello and Cali knew each other before Cali was gunned down in front of his Staten Island home. Law enforcement sources have said the Cali killing appeared to be personal, not about a beef with the mafia. They've also described Comello's behavior as erratic, and Gottlieb echoed as much outside court Monday. On Monday, the judge granted a request for Comello to continue to stay in protective custody — a request Comello's attorney asked for saying that his client needs. Comello is due back in court next month. 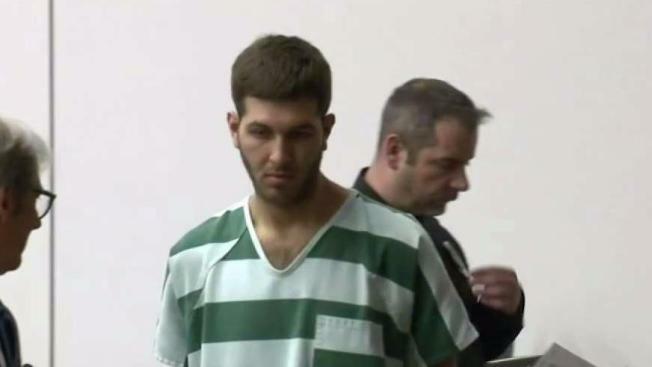 He had been placed in protective custody in new Jersey given the profile of the victim, and the judge Monday approved Gottlieb's request to continue that protective custody in New York. The man accused of killer a reputed mob boss on Staten Island sent an alarming message from court. Michael George reports. Cali, known as "Franky Boy," was shot to death in front of his home on Hilltop Terrace not long after dinnertime March 13. Authorities said 12 shots were fired, with at least six striking Cali, who tried to use his car as a shield to protect himself during the shooting. A bloody handprint was evident on the vehicle.